If you have ever had afternoon tea either in the US or the UK, you may have had a little cake/bread called a scone along with your tea. You may have had it with some fruity jam and clotted cream or maybe some jam and Double Devon cream. A great thing about scones is the many ways one can enjoy them. They can be eaten plain, with just jam, lemon curd, maybe some fresh fruit, or they can be made salty or with little pieces of fruit. I don’t know what I would do if I ended up in a place that sold a huge variety of scones. I think I would probably take at least one of each home (or someone would have to drag me away from the display)! 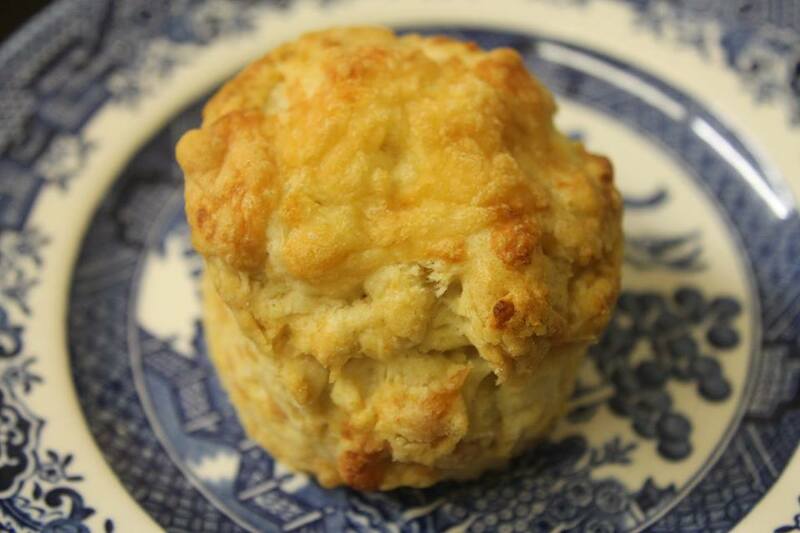 According to Webster’s Dictionary, the origins of the scone are believed to have originated all the way to Scotland in the 1500s at the Stone of Destiny (Scone) where Scottish Kings were crowned. How it became part of afternoon tea was all thanks to Duchess Anna of Bedford (1788-1861). One day, she got hungry during the afternoon in between meals, so she asked to be brought some tea and a light meal to her in her living quarters and scones were included in her little meal. She enjoyed them so much that she asked for it every day, even inviting friends to enjoy with her and since then, it has become a tea time ritual. When I became more interested in tea, I began to make scones at home to accompany my growing tea addiction. I took on a challenge with my first scone recipe. It was a cheese and onion one but it took FOREVER to make! But in the end, it was WORTH it! Second time around, I had looked online for scone recipes and I had to experiment several times before I could finally get it right. A simple, easy recipe that was not too fancy was my goal and I finally succeeded when my dad wouldn’t keep his hands off my scones (it’s good for me since I don’t have to toss them in the trash). I like to add raisins in my homemade scones to add a burst of sweetness. The supermarket I work at sells scones in our hot bakery, made fresh daily. They sell out rather quickly, so I have not been able to try one just yet but from what my customers have told me, they’re delicious! Or you can always purchase scone mixes online whether you’re in the mood for plain or something fruity or spicy (one of our popular ones like apple cinnamon) for a freshly baked scone made in a pinch. You can cut the scones into triangles or have a cutter and cut them into their signature round shapes. If you’re like me and you don’t have the cutter or have trouble working with the triangles, you can use some other cookie cutter or use a glass to make them round. No matter the shape or size, a scone is a scone. Pair it with your tea and relax as you have a lovely tea time with family or friends. Don’t forget the jam and cream! Editor’s note: if you want a great do-it-yourself recipe, read our recipe blog.